Kevin Slingsby studied Mathematics and Music at Cambridge University, and during that time he held the position of Assistant Organist at Sidney Sussex College Chapel and studied with Arthur Wills at Ely. He then took his Post-Graduate Certificate in Education at Durham University, where he Assistant Organist at both University College Durham and St. Oswald’s Parish Church Durham and studied with Richard Lloyd. For 15 years he held the post of Organist and Choirmaster at St. Andrew’s Church Kingsbury (London NW9), which is distinguished as the only church which was moved brick-by-brick from central London to the expanding suburbs in 1934. 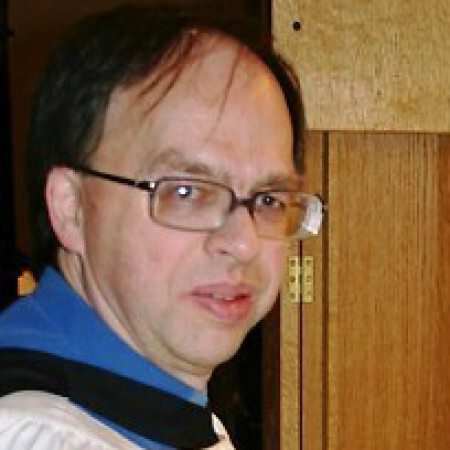 In 1994 he took the position of Assistant Organist at All Saints Parish Church High Wycombe. After a gap whilst bringing up a young family Kevin was appointed as Assistant Director of Music at Christ Church High Harrogate, also teaching at Harrogate Ladies’ College, and in December 2002 became Director of Music. In 2005 he moved to Oakham to take up the post of Head of Information & Communication Technology at Oakham School and at this time he also was appointed as Director of Music at All Saints’ Oakham. Since retiring from full-time teaching in 2013 he has been able to devote more time to the church post.